This anthology cuts into the Canadian poetry scene on a fresh, oblique angle. 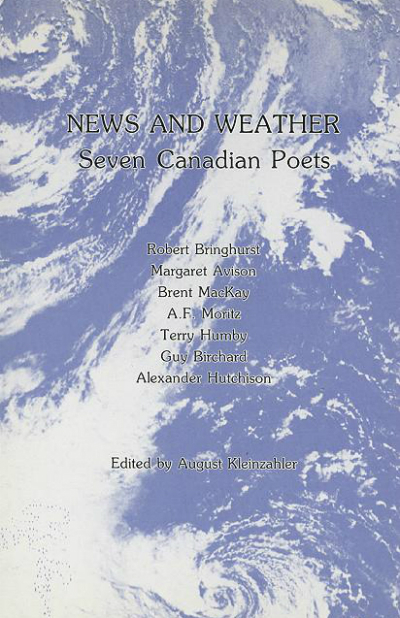 Included are Robert Bringhurst, Margaret Avison, A.F. Moritz, Guy Birchard, Terry Humby, Alexander Hutchison and Brent MacKay.